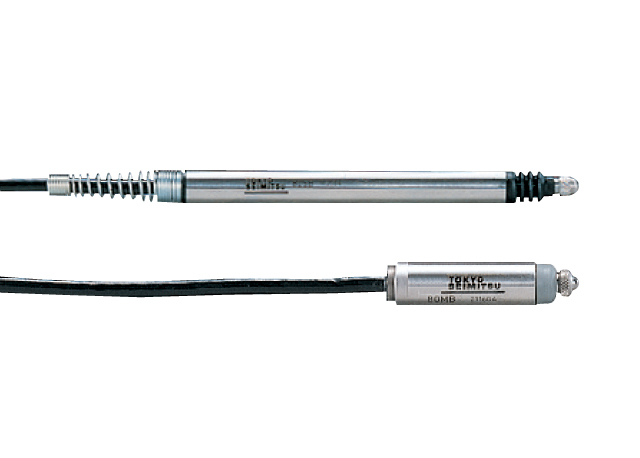 The sensor has an electrical origin and you can use it for the reference position of measurement. Repeatabilities of measurement are ranging from 0.05 um to 0.3 um, for example, which help to measure and check work size, etc. constantly in the bulk production line. By using contact measurement, destabilizing elements in the object and ambient conditions, such as color, reflection, water, oil or other things, do not effect measurement allowing an accurate measurement of the dimensions.